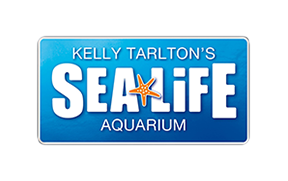 Here at SEA LIFE Kelly Tarlton's we are proud to offer a FREE classroom session with our Marine Biologists for all school excursions. For more information on what topics are available please visit here. Be sure to book in early for our classroom sessions, as we have limited spaces per day! *Please note, our Education Classroom has a maximum capacity of 35 people. If you have larger groups, you will be required to book multiple sessions across the day. To enquire about booking a school excursion please visit here. NEW: We are now proud to offer lessons taught in Japanese - These lessons will be available Monday - Thursday (subject to availability) To enquire about this please contact our education team.